She may have served you in the Cafe, or you might have caught her restoring old furniture in the Woodshop. Our multi-talented friend and barista Alexis Goertz is a skilled entrepreneur. She makes and promotes healthy fermented food and drinks through her company Edible Alchemy, and is owner of the Mother Kombucha drink - that she sells to various fancy restaurants and bars like Soho House. Started in her home country of Canada, ripened through her extensive world travelling, and set up in Berlin since 2014, Alexis has taken it upon herself to share her recipes through online seminars and workshops. 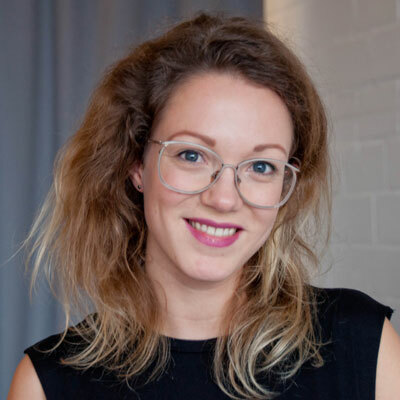 Before Alexis' first Probiotic Soda Pop workshop hits betahaus, we thought we'd let her tell you a bit more about what makes these sodas pop and what's the benefits of drinking them. And hey, while we're at it, we'll find out a bit more about our friend, colleague and fermentation queen. So Alexis, what's a probiotic soda? Probiotic means pro-life. This means that a probiotic soda is a soda that lives! This is basically the exact opposite as anti-biotic (which is something we take far too often and can strip our inner gut flora) There are live bacterias that help our immune system, our stomach, and therefore our overall health. A probiotic soda has naturally occurring bubbles and fizz that come from all natural ingredients and flavours. Not only really tasty, but good for us too. What are the benefits of drinking them? By drinking probiotic drinks and foods in general, we give back to our gut the good bacteria which promotes better digestion, improved immune system, nutrients and vitamins. Different soda combinations help with all sorts of different things. For example, ginger-beer helps not only with digestion, but aids with fever illness, throat soreness with all kinds of other benefits with ginger. How did you get into the art of fermentation? Fermentation literally is everywhere and all around us. I have traveled to 33 countries and have found fermented foods in every one of them. Not by coincidence; these foods are prominent features in many cultures! Because of traditions, religions, practices and lifestyles - such as living without a refrigerator. I have been totally intrigued by how and why people use fermentation practices and so I started to experiment myself. With satisfying results. Be honest, can they taste anything like Coke? Probiotic sodas can range from every flavour imaginable: lavender, lemon grass, peach, cherry, yerba-mate honey flavour… let your imagination go! Also, you can get some serious bubbles in them by the natural fermentation. I've had volcano eruptions and even bottle explosions because of the high carbonation that builds up. The chemical taste of coke I generally stay away from.. I haven't really tried, but technically I guess you could. Can I buy probiotic soda's in the supermarket? Because these sodas are alive, they have a short expiry date and there's a possibility they'll explode - especially if you keep them for long. For this reason, stores often won't carry them on their shelves. This is why its totally valuable to learn to make them yourself. And of course it's fun, because you can adjust the flavour, the sugar level, and the ferment time to your own personal schedule and taste. We’ve heard a rumour about you hitch-hiking through Africa by yourself. Is that true? When I was 19 years old, I spent a year living in Mozambique working as an art teacher, a girls soccer coach and general entertainer for the small community I lived in. I think I ended up learning a lot more than I taught though! Two new languages, a new way of life, different mentalities and traditional methods of living. At the end of that year, I hitchhiked through Africa - Mozambique to Zimbabwe, to Zambia, to Botswana, to South Africa and back to Mozambique. I only realised how crazy and dangerous it was when I looked back afterwards and re-read my blog. Even today my mother still scolds me and worries after reading those blog posts! Truth is though, I have a mother who is incredibly encouraging and would love to be a fly on the wall for some of these crazy adventures. She has supported me in all my other travels after that, and still does now. Wow, sounds like an amazing trip. Lastly and maybe most important: What’s your favourite soda recipe? Lately I've loved plum-fig-lemon-water-kefir. It's a light, lemonade-like, effervescent drink full of good probiotics. For any more information about recipes, upcoming workshops, and fermentation in general, you can hit up the Edible Alchemy website or listen to this interview with Alexis on the Green Me Podcast.